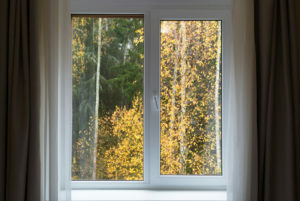 Many homeowners don’t realize that most of the energy loss their home experiences happens through their windows and their doors. Replacing your windows has many benefits beyond reducing energy loss. Many people assume that there is one month or season in which all window and door replacement should be done. The truth is that it’s a smart choice any time of year. Keep reading to find out the facts about how these services work in each season. Then contact Progressive Insulation & Windows at (800) 500-6200 for a free quote. It is not uncommon for a homeowner to put off window and door replacement as long as possible. Then winter comes and it becomes clear that something must be done. As the temperatures get lower and the drafts get more significant, it can become unbearable. Even if it is just somewhat uncomfortable, once that huge utility bill comes, it often then becomes a must to replace windows and doors. Spring is one of the busiest times of year for window installers. As a result, you will likely need to plan ahead to ensure you get your windows installed when you want them. However, remember that even though it is busy, there are also more hours in the day than in winter o fall installations. This means that the hours during which we can work are extended as well. If spring can be a challenge to schedule summer is even harder. It is the busiest time of year for us but it is also a great time. Why? Because the warmer weather can help the caulk adhere more quickly for the tightest seal. If you are planning to replace windows or doors during summer, make sure you are planning around any vacations or parties you’re having. For the most part, we are not as busy in fall which means you can likely get an appointment whenever it’s convenient for you. 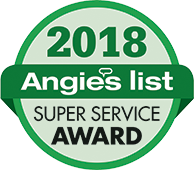 You will not have to worry about the heat of summer or the chill of winter for a few precious months and replacing your windows before your utility bills get higher is a great option. Remember too that you will have more comfort in the following winter months. Is there a perfect time to get your windows installed? We say it’s always the perfect time. If you want to learn more or request a free quote then we encourage you to contact Progressive Insulation & Windows at (800) 500-6200 today.